Did you go the 4 speed route? Not yet, I'm ducking out of mallory due to lack of time. The Atc70 4spd is a common option but finding them is tough.... And expensive. I have done some research and was looking at the ss50 4spd box as an option, there's YouTube videos of this being an easy mod. For plopping I reckon this box could be an option and they are easier to find. It means running bigger gearing on the sprockets but if my calcs are right would give you a close ratio 1,2,3 with an almost useless 4th.... But from our racing it's the close ratio but that's the key. 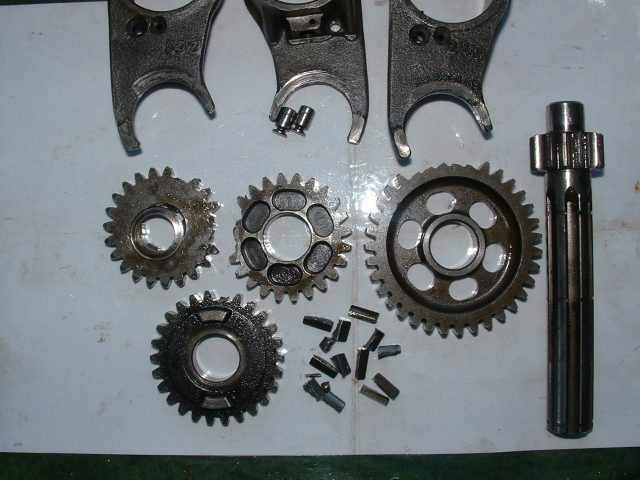 Some of my SS50/CT70 4 speed gear boxes from over the years,i hate them now better with the ATC70 gearbox. First gear is crap and that slide in to first gear kickstart with the very large gear on it not good. Thinking of getting ours dyno run. Anyone know of any good ones in Midlands area? Good idea to road test, our damper broke off messing about before the race and came loose twice during. Swingarm and head both worked there way loose too. http://dratv.com/4ge.html 50 dollars for an atc70 box seems reasonable? Dont think it comes with the selection drum or indent arm. Plus DR ATV dont like to post to the UK. And there out of stock. Rides:: ZX9R, RD500LC, RG250III, RS125SP, WR450F, TC250, REV3 250 and 2 Cubs!